AMS Vans makes mobility freedom easy and affordable. Browse our massive inventory of new and used handicap vehicles. Or, send us an email and tell us exactly what you want — we’ll find it and deliver it to your driveway. Among one of the largest manufacturers of wheel chair vans, AMS Vans backs all newly modified minivans with our low price guarantee. * Side and rear entry wheelchair vans are available with delivery to Racine, Wisconsin or nationwide (delivery fees may apply) and white glove service is included where a mobility professional will go over all the easy-to-learn details of your new mobility van with you. After a mobility professional goes over your modified handicap van from our inventory, if you aren&apos;t 100% satisfied, we&apos;ll take the van back, no questions asked. A great warranty, 24-hour emergency conversion help line, and nationwide service are just some of the benefits of buying a new or used wheelchair accessible van with a new AMS Vans brand conversion. AMS Vans offers affordable New and Used Handicap vans, minivans, trucks, and SUV’s available in all of the major brands. Browse our on-line inventory and find the perfect van that suits your needs. All of the wheelchair vans we sell pass our rigorous 134-point certification inspection! New or used minivans you already own can be modified by AMS Vans into one of our quality wheelchair accessible vans. The AMS Vans Edge, AMS Vans Edge II, or AMS Vans Legend wheelchair vehicle conversions are available on most models of Dodge, Chrysler, Honda, or Volkswagen minivans. 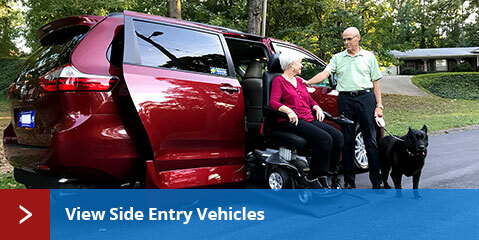 Whether you choose a rear or side entry wheelchair van conversion, AMS Vans offers additional mobility equipment such as Q&apos;Straint electronic wheelchair docking systems for installation. 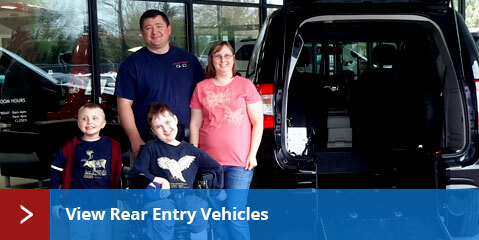 Purchase a new minivan that has already been modified with a wheelchair ramp to be accessible. Simply choose your favorite Honda, Chrysler, Dodge, or Volkswagen minivan for a side or rear entry model where available. Mobility rebates are also often available for cash back through the minivan manufacturers. Manufacturers such as VMI, Rollx, and Braun are available in our used inventory of mobility vans as well as used mobility vans from AMS Vans that are certified with both new and used handicap conversions. Purchasing a used minivan doesn&apos;t subject you to the loss in value that occurs when buying a new vehicle. Own a used wheelchair vehicle with a new handicap conversion from AMS Vans and benefit from a great conversion warranty and the remainder of the manufacturer&apos;s warranty on the minivan. Whether you are selling a handicap accessible van or un-modified minivan in Racine, Wisconsin AMS Vans has a fast, simple solution for you. Not only will AMS Vans buy your used minivan or wheelchair vehicle for one of the highest payouts in the industry, we&apos;ll pick it up from you in Racine, WI or anywhere across the country. AMS Vans buys handicap accessible vans by Braun, VMI, and Rollx direct. 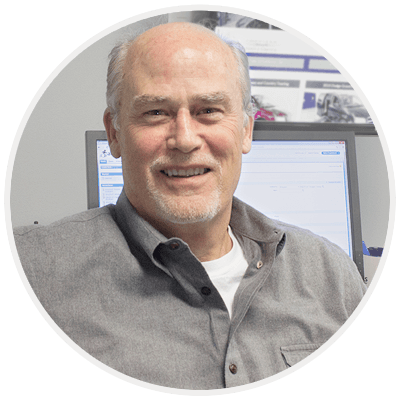 Previous customers consistently leave feedback stating a price quote from AMS Vans was much higher than other dealers in Racine, Wisconsin. If the time has come and you are ready to upgrade to a newer AMS Vans mobility van model or your needs no longer require an accessible vehicle, the AMS Vans Buy Back Program offers high payouts and trade-in values in Racine, WI. AMS Vans buys un-modified used Honda, Chrysler, Dodge, or VW minivans. AMS Vans takes the used minivans we purchase and modifies them into used AMS Vans wheelchair accessible vehicles with new ramp conversions as a low cost alternative to buying a new wheelchair accessible van. AMS Vans mobility classifieds connects buyers and sellers of accessible vehicles in Racine, Wisconsin and nationwide. The first month is always free to AMS Vans customers to list your used handicap van in our mobility classifieds when it&apos;s time to sell. Don&apos;t let an opportunity for the sale of your used wheelchair accessible vehicle pass you by; have our trained staff handle the sales process from the ad itself and how it&apos;s worded to answering inquiries in a timely manner through our mobility consignment option. Experience a new type of wheelchair accessible vehicle company with AMS Vans where we sell direct online nationwide, allowing us to keep our high-quality, user-friendly handicap vans at the absolute lowest prices possible. Research what other wheelchair van customers think of AMS Vans in Racine, Wisconsin and nationally by reading our handicap van customer testimonials. Even after the sale, if someone you know buys a wheelchair accessible vehicle from us and mentions your name during the sale, we will send you a check for $250. Get on the road with a quality, low cost wheelchair van that is built to last with your safety in mind from AMS Vans. Have more questions? Just ask us! 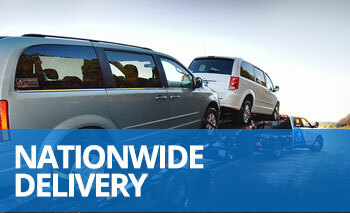 We'll help you find the right van specific to your needs. Contact us today and we'll have one of our trusted advisors contact you.